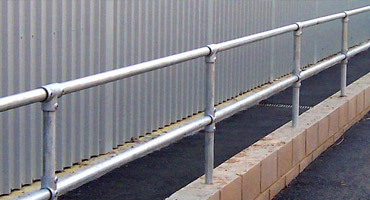 Bow Top Railing is named after the hooped finish at the top of the fence and is commonly used as a perimeter fence where minimum security is required and where the visual aspect takes priority. 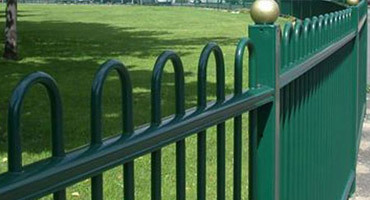 Hoop fencing, as it is sometimes referred to, is a popular choice of fence for open public areas and is commonly used around residential areas, gardens, parks and play areas. Bow Top is available in two configurations; standard bow top and also play area configuration. Play area has been specifically designed to comply with RoSPA guidelines and features a narrow anti-trap bow top. 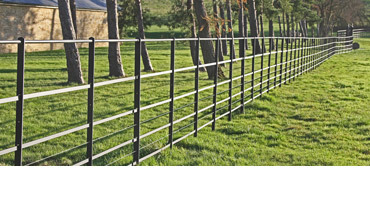 Why Choose Bow Top Fencing & Railings? Our Sentinel Convex Bow top is a 2.762m wide panel. It consists of welded panels fabricated from pre-formed bow top hollow section 26mm dia. round vertical infill tubes with 96mm spacing between verticals. 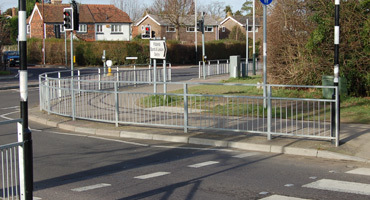 The panels are supported between square hollow section posts. 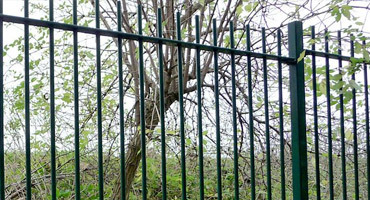 Bow toping railings are quick and easy to install unlike some other security and perimeter fencing and is both economical and durable. Contact us today to speak to the team – 01233 820240.